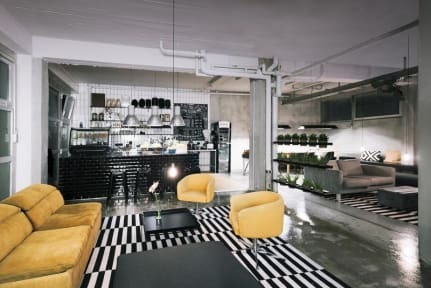 Wallyard Concept Hostel i Berlin, Tyskland : Boka nu! Centralstation ligger bara 2 busstationer bort. Regeringskvarteren, Zoo, Friedrichstaße eller Kreuzberg är bara några minuter bort, en expressbuss tar dig till flygplatsen Tegel. 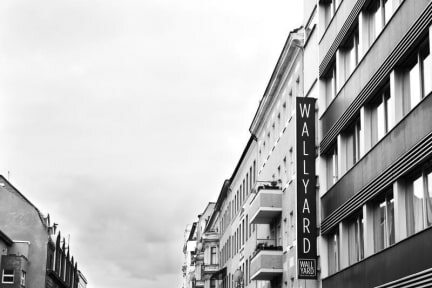 I had a great stay at Wallyard hostel, the staff was so helpfull and kind. The location is not bad if you don't mind walking, close to both Tegel airport and the train station. Comman area/reception is really cool, the doorms are kind of small but clean and comfortable. The straff were amazing. Very accommodating and pleasant. Good atmosphere and easy to meet people. Unfortunately the location was a bit off from the general club area. My pillow was a bit chunky. Also a bit annoying they change code for the room every day at 7am. And the reception is only open 7am-11pm. Would be nice with a kitchen.